What’s Fashion Week Got to Do With Empowerment? What’s New York Fashion Week Got to Do With Empowerment? 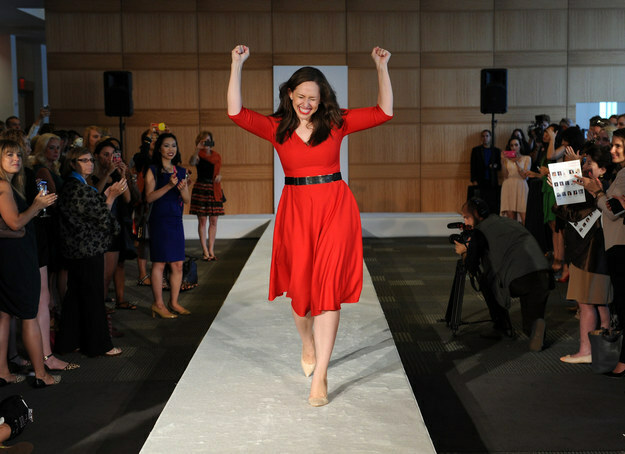 Home » Blog » What’s New York Fashion Week Got to Do With Empowerment? Posted February 23rd, 2015 by Sanford Heisler Sharp, LLP in Gender Discrimination and Harassment. Last week saw the close of New York Fashion Week, a magical time when Manhattanites come together with global taste-makers to encourage women of all stripes to display their inner beauty and outer style. Sort of. As much as NYFW is a salute to New York’s diverse population and global mindset, it also pays homage to an elite segment of our culture that has the resources, time and, candidly, body frame, to invest in haute couture. From a critical perspective, high fashion sits in an uncomfortable juxtaposition with feminism, and I doubt anyone is expecting to see Gloria Steinem front row this year next to Katie Holmes or Kanye West. That said, I am far from the first to consider the implications of fashion on feminism; if you’re interested in reading more on this topic, you could begin by looking here or here or here. Despite these inroads, no one is arguing that fashion has now confronted its powerful influence in shaping women’s ideas of themselves or of each other. While designers like Chanel and Marc Jacobs might use Fashion Week as a platform to engage in the political debate (or garner press, it’s tough to tell), models are still largely underpaid and women making clothes designed for other women is a rarity in the face of the “boy wonder club” that typically grabs headlines. However, my guess is that no one is asking that much of haute couture, which is, by its nature, exclusive. Instead, I’m curious if these subtle changes – new faces, new ideas – represent a shift toward a more egalitarian notion of what is beautiful, of what belongs. I’m curious if fashion will become a tool to reflect back on us our best selves (distinct from our “perfect” selves), whatever that looks like to each designer. To designer Carrie Hammer, that notion of what is desirable and worthwhile recognizes the dignity of women at work. While it’s not new for fashion to meet women in the workplace, Ms. Hammer’s Role Models – who are made up of women who were selected for their professional achievements – surely represents a welcome shift in haute couture. For most of us, the reflection we most often see is donned in work clothes, since we spend the majority of our waking hours in the office. Carrie Hammer’s NYFW show seems to have tapped into this basic reality that, for fashion to be relevant to working women it has to be wearable at work. As we’ve discussed on this blog before, a woman’s sartorial choices can have real-world impact on her career, including how she is perceived in the workplace. Yes, despite the important role that one’s appearance can play, there is still a dearth of sage advice for women trying to blend a love of clothes and a desire to be taken seriously by her peers. Even my colleague’s insightful commentary cites as examples of women “who dress beautifully and stylishly for the workplace and also achieve distinguished career success” the fictional television characters Alicia Florick and Jessica Pearson, of the Good Wide and Suits, respectively. Does a more diverse, a more humane, NYFW bode better things for women’s future relationship with our work wardrobe? Or, as (and if) fashion becomes more accessible, will “stylishly donned” simply become another necessary prerequisite for women trying to “have it all.” I don’t have the answers, but I do know that as I begin my practice as a young lawyer, I’m looking for a more realistic role model than Alicia Florick; maybe Carrie Hammer’s Role Models aren’t a bad place to start.